Reserved Seating is available when the book is pre-ordered from Warwick's for the event. Please call (858) 454-0347 for details. On Tuesday, April 16th at 7:30pm Warwick's will host Frances Mayes as she discusses and signs her new book, See You in the Piazza: New Places to Discover in Italy. 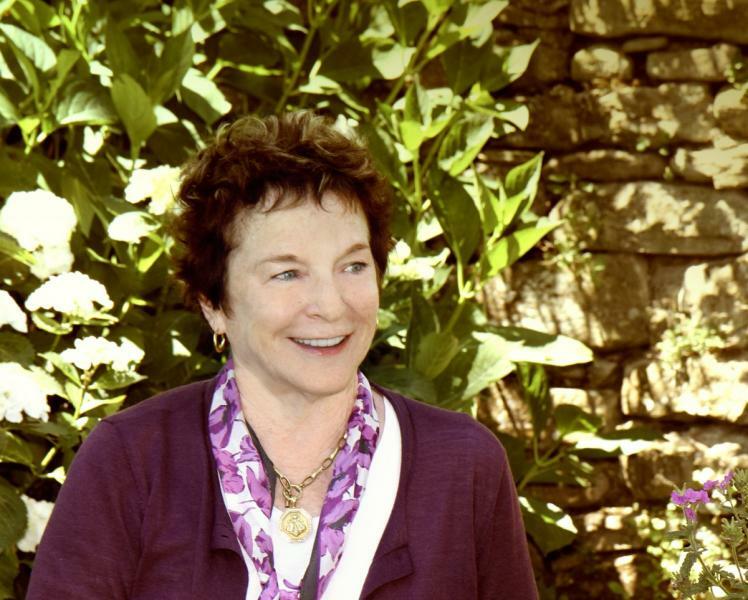 Frances Mayes is the author of seven books about Tuscany, including the now-classic Under the Tuscan Sun—which was a New York Times bestseller for more than two and a half years and became a Touchstone movie starring Diane Lane. It was followed by Bella Tuscany, Every Day in Tuscany, and two illustrated books, In Tuscany and Bringing Tuscany Home. She is also the author of the novel Swan, six books of poetry, and The Discovery of Poetry. Her books have been translated into fifty-four languages. This event is free and open to the public. Reserved Seating is available when the book is pre-ordered from Warwick's for the event. Only books purchased from Warwick's will be signed. 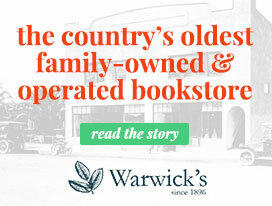 Please call the Warwick's Book Dept. (858) 454-0347 for details. Frances Mayes, beloved author and cultural emissary of Italy, has spent the past thirty years splitting her time between her native United States and adopted home in Tuscany. Yet, despite the decades she has spent there, she insists she still doesn’t know all of Italy because, as she puts it, “to know Italy takes ten lifetimes.” Not that she won’t explore as much as she can in this lifetime! In her enticing new book See You in the Piazza: New Places to Discover in Italy Mayes, with her husband, Ed, hits the road in their white Alfa Romeo to explore the country afresh from north to south. Eating and drinking her way from Friuli to Sicily, Mayes seeks the very best local food, wine, culture, and history that Italy has to offer—and discovers countless, unexpected charms along the way. With vibrant descriptions, Mayes finds the Italy that is never obvious—little-known villages in Marche, a Trentino hideaway with no cars, a Sardinian island with hidden coves, and enchanting places in Tuscany that you’ve never heard of. She savors sbrisolona, the crumbly, nutty dessert of Emilia Romagna; succulent fish from the Catania market; regional cheeses; dark chocolates of Torino; and in every location, the brilliant local wines. As Mayes zigzags around the country, she visits each town’s artistic treasures—castles in Le Langhe, Puglia’s Romanesque rose windows, the palaces of Genoa, and the elegant baptistry of Parma. Throughout See You in the Piazza, Mayes conjures the enchantment of the backstreets, the hubbub of markets, and the dreamlike wonder of that space between lunch and dinner when a city invites us to wander its nooks and crannies or lose ourselves in the pages of a delicious book. We’re invited along for the ride. For readers planning a trip to Italy, Mayes’s recommendations for everything from practical advice (pack light, how to navigate the Venetian Lagoon, how to locate the best farm stays) to the most genuine restaurants, frescoes, and duomos in each town are not to be missed. For armchair travelers, Mayes’s familiarity with and affection for Italy are transporting, celebrating and revealing the secrets that only someone who is on intimate terms with a place could find. And whether you’re a seasoned traveler to Italy or uninitiated, you’ll want to try the recipes from some of Mayes’s favorite chefs, relayed with mouth-watering detail along with practical advice for home cooks.